There are many reasons to get a Raspberry Pi 7 Reasons To Get A Raspberry Pi 7 Reasons To Get A Raspberry Pi I'm sure you've heard of the Raspberry Pi by now. If not, you're in for a treat. It's a tiny little computer that's dirt cheap and incredibly customisable. 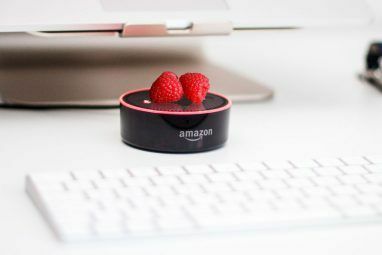 Here at MakeUseOf, along with most geeky... Read More , but if you haven’t already, you should consider getting a Raspberry Pi 2 instead 5 Things Only a Raspberry Pi 2 Can Do 5 Things Only a Raspberry Pi 2 Can Do The latest edition of the pint-sized computer is awesome. So awesome, in fact, that there's 5 things you can only do on a Raspberry Pi 2. Read More . Though the newer version of the RPi still has several limitations and drawbacks 5 Things You Can't Do With Raspberry Pi 2 5 Things You Can't Do With Raspberry Pi 2 With a quad core CPU and boasts of being able to run Windows 10 – is the Raspberry Pi 2 really all that? Here's 5 things the Raspberry Pi 2 still can't do. Read More , it comes with more RAM and a faster CPU — which means more possibilities. Protection: Dust is a big problem for open circuit boards. Not only is it conductive (which can cause shorts between chip pins), but it can also hold moisture (which can cause corrosion). 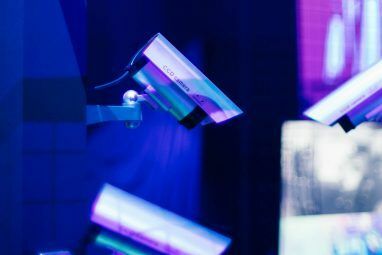 Also, when carrying your RPi around, physical damage is a real concern 5 Ways to Ruggedise Your Raspberry Pi 5 Ways to Ruggedise Your Raspberry Pi Read More . Convenience: The RPi is a relatively jagged device. Things can get caught on it, it can snag on things, and because of the aforementioned protection issues, you have to be ginger with it when handling and transporting. A case allows you to be a little more care-free. Aesthetics: Some cases are designed purely for function, but many cases simply look awesome. If you’re going to use an RPi for something like a home media center, wouldn’t you want it to add a bit of style? Now that you’re convinced that you need one, here are some of the best RPi 2 cases currently available on the Web. If you want something safe and reliable, you really can’t go wrong with the case that comes from the Raspberry Pi Foundation itself. It doesn’t look very interesting or unique, but that’s exactly how it’s meant to be — a generic design with widespread appeal. That being said, it doesn’t look bad at all. The top lid is removable for access to the camera and display ports, the side panels are removable for access to the GPIO port, and the RPi fits inside snugly enough. And at $13, it’s neither cheap nor expensive. 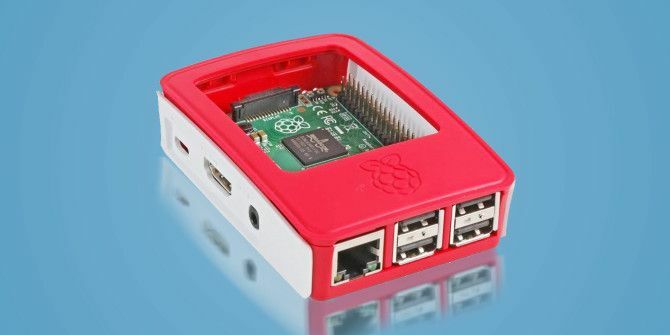 This case by ModMyPi is for RPi enthusiasts. With its black stealth design and integrated LED status lights, it looks sharp and fits in well with most computer cases, peripherals, and home media devices… but the real selling point is its modularity. The case itself is £6 plus tax, but there are a handful of add-on options for customization: £1 MicroSD card covers, £2 stackable spacers for more headroom, £1 USB & HDMI covers, and £3 VESA support mounts. It can be as cheap or expensive as you need it to be. In order to save on costs, most RPi cases are made out of materials that can feel cheap, like plastic. This case by FLIRC, which has an aluminum frame sandwiched between two pieces of plastic on top and bottom, does not feel or look cheap — and only costs $15. In addition, it has a built-in heatsink (with thermal pad included) that helps to redirect excess heat if you live in a high-temperature environment or want to overclock your RPi. At this price point, you likely won’t find another case that feels as solid as this one. This Pimoroni case has a “super-slimline profile”, which basically means it’s as thin as it gets. Cases can tend to get bulky, so if you need to minimize the amount of space taken up by your RPi, this case is worth looking into. The transparent design is polarizing in a “love it or hate it” sort of way, and that alone may turn you away. All ports are easily accesible with this acrylic case, and it comes in five different colors. The default is red, but you can also choose from Tangerine (orange), Ninja (black), Flotilla (blue), and Royale (purple). The £8.50 price tag is pretty good, too. Like the Pibow Coupe above, this case by GeauxRobot is slim and compact, making it take up as little space as possible. In fact, it’s very much the same case, except this one doesn’t have any color. Unfortunately, this one is also fully transparent, so if that aspect turned you away from the Pibow Coupe, it will also turn you away here and you’ll have to keep looking elsewhere. Not much else to say except that all ports are available and the construction is quite stable. Here’s another case from GeauxRobot, except this one serves a completely different purpose. Instead of minimizing space used, it lets you stack two different RPis on top of each other and leaves both open for improved air circulation. If you don’t have two RPis, you can still use this case in a modified way: mount the RPi to the bottom and take out the middle divider, effectively giving your RPi extra room for a shield on top (or whatever other ideas you might have). The Zebra case from C4Labs is simple but effective. The RPi locks firmly into the case so that it doesn’t rattle around and risk damage, and it has heatsinks for the CPU, RAM, and USB controller, plus vents for better air circulation. This case also comes in three wooden flavors if the black aesthetic is too sharp for you: Zebra Wood, Zebra Walnut, and Zebra Maple. Black and Wood are available for $14.50, while Walnut and Maple are slightly more expensive at $15.75. It’s common to see DIY cases made out of LEGO pieces in the RPi community, but this consumer case from Smarticase takes it to the next level. It’s mostly a regular case made of plastic, except that it has LEGO-compatible panels that you can use however you want. What’s nice is that the case uses the LEGO panels as a way to stack with itself, so if you have multiple RPis that you want to combine in a way that isn’t permanent, this is a viable solution. The case has built-in wall-hanging eyelets and is even compatible with GoPro mounts. If you want to go the DIY route, 3D-printed cases are more popular — and more practical — than LEGO-made cases. Of course you’ll need a 3D printer in order to make of these for yourself, but the good news is that there are several cheap 3D printers available right now 5 Cheap 3D Printers You Can Actually Buy Today 5 Cheap 3D Printers You Can Actually Buy Today A few years back, even the cheapest 3D printers were uncomfortably close to the $1,000 mark – now you can get a quality 3D printer for as low as $400. Read More . This particular case comes from /u/turbocharged110 on Reddit, also known as 0110-M-P on Thingiverse (a community for 3D printing blueprints). The design looks awesome enough to be sold as a real product, but fortunately you can download the blueprint for free. Lastly, we have a simple case that’s sold by Geek World on AliExpress. Shipping will probably take several weeks, especially if you live in the U.S. or the U.K., but for less than $4, you really can’t complain — plus, you’re getting more than just a case. Not only does it look sleek and modern, but this case comes with a fan that helps dissipate extra heat. (Great for overclockers!) The default color is black, but you can make note in your order whether you’d like the white or clear variants. Value-wise, you can’t ask for better. Which Case Is Your Favorite? Once you’ve learned the fundamentals of operating your RPi Raspberry Pi: The Unofficial Tutorial Raspberry Pi: The Unofficial Tutorial Whether you're a current Pi owner who wants to learn more or a potential owner of this credit-card size device, this isn't a guide you want to miss. Read More , be sure to fit it with one of the awesome cases listed above. If the RPi 2 seems a bit overkill for your needs, consider checking out the $5 Raspberry Pi Zero Raspberry Pi Launches $5 Model Zero: Here's How It Compares Raspberry Pi Launches $5 Model Zero: Here's How It Compares The Raspberry Pi foundation just announced the Raspberry Pi Zero: it's essentially a cut-down Raspberry Pi, with a price tag to match: each one costs $5. That isn’t a typo. Read More or an Arduino micro-controller Arduino vs Raspberry Pi: Which Is The Mini Computer For You? Arduino vs Raspberry Pi: Which Is The Mini Computer For You? 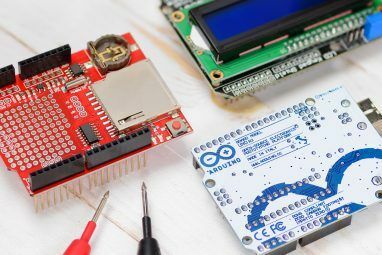 The Arduino and Raspberry Pi may look quite similar – they're both cute little circuit boards with some chips and pins on them – but they are in fact very different devices. Read More instead. Now you tell us: which of the cases above do you like the best? Are there any other notable RPi 2 cases that we missed? Share your thoughts with us in the comments below! Explore more about: Computer Case, Raspberry Pi. For the historically minded, there's even a vintage PDP-8 replica case with Blinkenlights for the Pi!